Q. What is a subwoofer? So goes the age old and not so funny joke. But what is a subwoofer and do you need one? 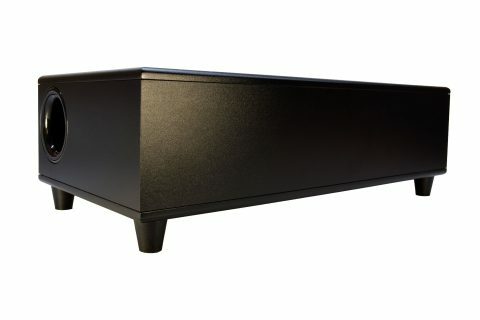 To understand what a subwoofers are and why they are required, we need to examine loudspeakers in a bit of detail first. The human ear can (theoretically) hear everything sound from low bass at 20Hz to the highest frequencies at 20kHz. That’s a very wide range and one which realistically isn’t achieved, because as we grow older our hearing deteriorates and we lose high frequencies. But we continue to be able to hear low frequency information and so reproduction of the low frequencies is arguably more important than the highs. However, producing low frequencies is the hardest thing for loudspeakers to achieve. High frequency is easy – (virtually) all speakers can handle 20kHz, but bass needs major engineering. Low frequency sound is the movement of lots of air – easy for a 64’ pipe in an cathedral organ, or a tuba, but hard for a speaker. The bass drive unit (or LF driver, or woofer) has to be able to move the same amount of air as the instrument it is trying to reproduce. 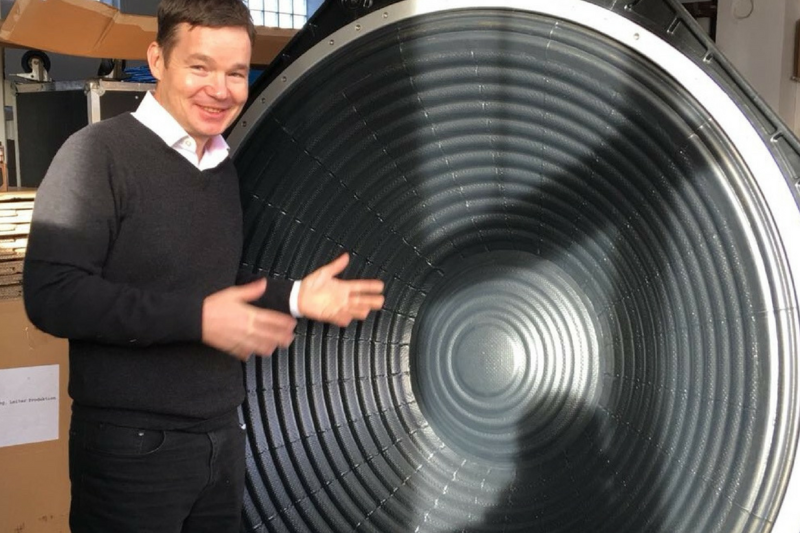 To do that it has to a) move backwards and forwards a long way and b) be of a sufficiently large diameter to push the required amount of air around. Back in the 70s and the earlier days of hi-fi, loudspeakers had big bass units that could move large volumes of air. But today the trend is for smaller, discrete loudspeakers, with small bass drive units, that don’t stand out like a sore thumb in the living room. That’s great for aesthetics, but terrible for acoustics. So, the subwoofer was born. 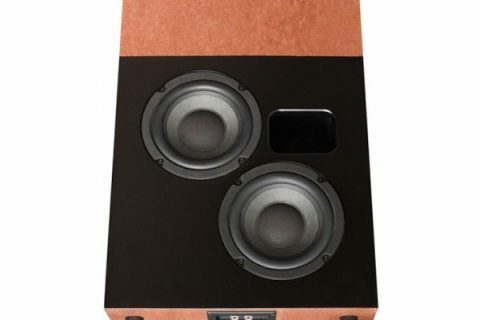 This is a stand-alone speaker that has but one purpose – the reproduction of low frequencies. It’s not constrained by the physical limitations of small loudspeakers and so can be of a size required to do the job of making explosions seem real, giving scale and presence to movie soundtracks and reproducing the very deepest sounds possible. But surely that just means another big box cluttering up the room, which also defeats the object of having small speakers? Here’s another bit of acoustics information that is the crucial reason why subwoofers can work. High frequency sound is directional – your ear can pinpoint exactly where it’s coming from (that’s why it’s always recommended that speakers are positioned at ear level). But as the frequency gets lower, the sound becomes less directional and harder to pinpoint. Get down to the bass frequencies (below about 80Hz – e.g. a bass guitar or bass drum) and the sound is no longer directional. In fact, it is omni-directional, meaning it appears to emanate from everywhere. That’s the secret to a subwoofer. As it is only reproducing these low sounds, your brain can’t tell where it is and is fooled into thinking the bass must be coming from the small speakers you can see, because it knows that the higher frequency sounds are definitely coming from there. 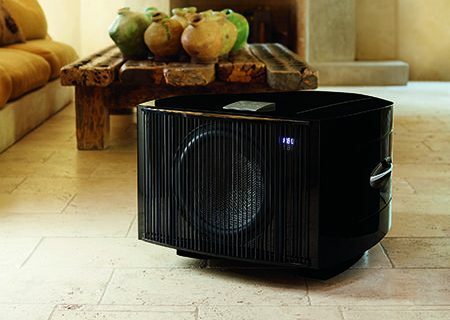 So, a subwoofer can be placed virtually anywhere in the room – enabling it to be hidden from view. 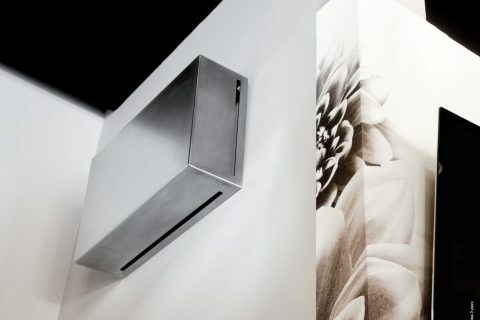 For home cinemas and custom installations, this opens up a whole host of possibilities for the placement of subwoofers. 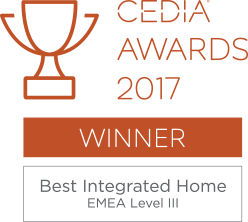 We have at our disposal a variety of designs that can be placed wherever suits the particular installation: on the floor behind the couch, slimline ones mounted on the wall, mounted in the wall, or super slim designs that go underneath the couch. Some companies opt to produce large subwoofers, that can be a focal point in the room – often with a glass top so they can be used as a coffee table – just watch that the coffee doesn’t bounce off when the Jurassic Park T-Rex makes its appearance! Clever loudspeaker designers have found ways of using smaller size drive units in multiple configurations to do the job of a single, large bass drive unit. This has enabled them to create really small subwoofers that can still move loads of air and reproduce the low frequencies, opening up positioning options further. 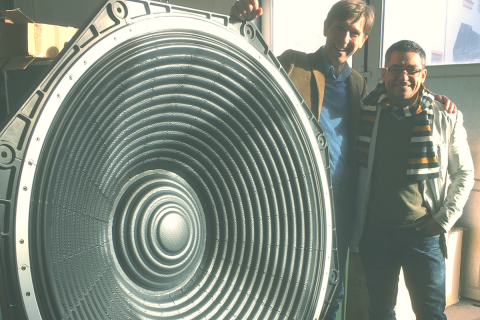 And for those of you with huge rooms and huge budgets, here’s our very own Miguel Soto and Geoffrey Heinzel of AIA with the biggest subwoofer in the world, the AIA 50” sub!